In Belgian colonies, the sjambok has been called "Chicotte". This item has a flat-oval handle section, because the used hide was too thin for fully rounded work. In the middle section a wiring has been, which consisted either of copper or a copper alloy. 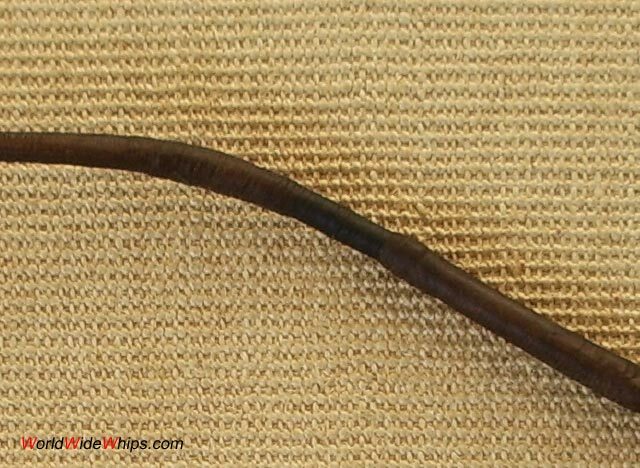 The whip has been made in the 19th century and shows many signs of use.